Join us for the 17th annual Young Playwrights Festival showcasing select new works from ACT’s Young Playwrights Program. Eight talented writers aged 13-18 join with a professional team of local directors and actors to bring their new plays to life in staged readings. ACT believes that our patrons can determine what is offensive for themselves, and what is appropriate for their children. We don’t create age restrictions but do our best to offer content advisories for each show. For detailed information about show content and possible triggers, please contact communications@acttheatre.org. The Young Playwrights Program (YPP) is ACT Theatre’s flagship arts residency program. It pairs professional playwrights and theater artists with classroom teachers to engage middle and high school students in a 10-week intensive program that includes drama and improv exercises, creative writing prompts, and supportive feedback sessions. By the end of YPP, each student completes the first draft of an original, one-act play. 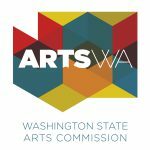 YPP aligns with Washington State Learning Standards for the Arts, cultivates opportunity for enriching peer-level support and feedback, and enhances confidence in creative problem solving, writing, and self-expression. Some schools we partner with also showcase the plays by presenting in-school assemblies or special evening presentations that feature the work of the students, performed and/or directed by peers. Other plays are selected for the Young Playwrights Festival at ACT Theatre.